COLLEGE PARK, MD—Explaining how the decision-making process is complicated by the often wide variety of available options, a report issued by the University of Maryland Tuesday concluded that the average person spends approximately 18 hours standing at the bar agonizing over what to order every time they go up for a drink. “When deciding what to order, our research shows that being forced to choose from even just a handful of cocktail and draft beer options will keep most bar patrons crippled with indecision for nearly an entire day,” said lead researcher Lynne Anderson, adding that even individuals who approach the bar with a specific order firmly in mind are immediately thrown into an extended period of internal debate upon noticing a chalkboard listing various happy hour specials. “And that’s just a conservative estimate. 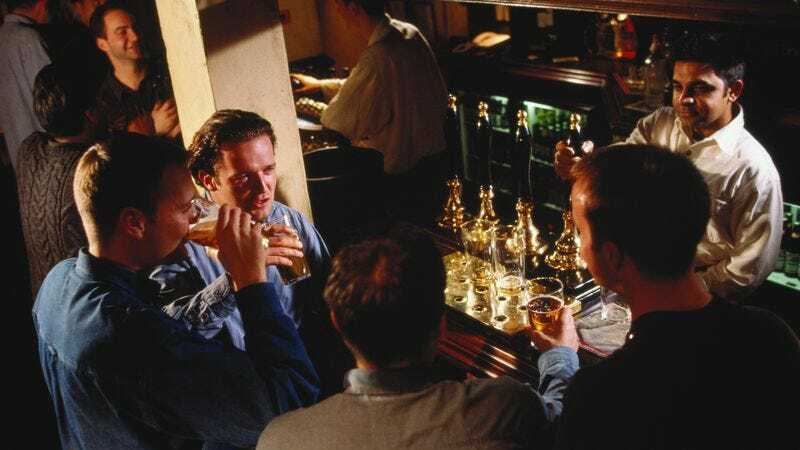 In fact, the time spent going back and forth between two or three drink options could easily double if the individual overhears another patron purchasing a round of shots or asking about seasonal offerings.” The report also confirmed that an indecisive customer will remain fixed in place indefinitely in the event that a large crowd of impatient bar-goers has formed behind him.